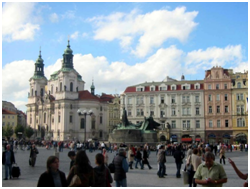 The Czech Republic is another magnificent European holiday destination. It is a country that is a fascinating blend of historic grandeur and amazing and almost untouched natural beauty blending with stunning modern cities. A great place for family holidays or couple holidays. 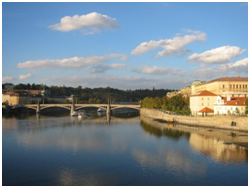 Many have rated their holiday to be one of the top holiday destinations in Eastern Europe. Known as ‘the heart of Europe’, it is virtually midway between the Baltic, Adriatic and North seas, its historic feudal system led to the expansion of amazing castles with defensive moats built on top of almost inaccessible hills and rock formations. Over the centuries more magnificent luxurious royal structures were built. Today the countryside is dotted with more than 2,000 preserved castles and chateaux, more per square mile than any other country in the world, however, there is much more to the Czech Republic than history. Although it’s mountains and forests have been inhabited and cultivated for thousands of years, there are still many beautiful untouched wilderness areas, unique with their sceneries and formations. Rare animals that are usually only seen in books and zoos - such as wildcats, wolves, the lynx, the big bustard and grouse – still roam free. The Czech Republic also has labyrinths of amazing caves connected by underground rivers, with large caverns filled with unique stalactites and stalagmites and prehistoric carvings. Some of these rivers forge their way through gorges 100 metres deep, waiting for you to explore. Then there is the hundreds of museums and galleries filled with incredible treasures and works of art; performances of the music of great Czech composers; the world famous Czech beers and wines; and of course their own cuisine – although influenced by neighbors like Germany, Austria and Hungary, the Czech people have their own great Bohemian recipes based on fresh home-grown products. Many travelers say that Prague is a city that is best explored on foot, with the entire central area designated a UNESCO World Heritage Site. The city centre is like an enormous open-air museum with an interesting mix of diverse and innovative architecture. 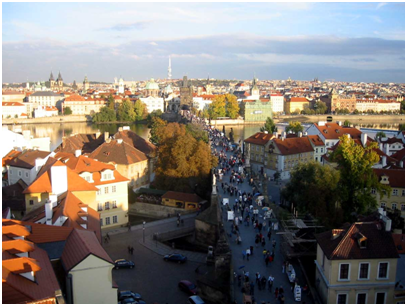 Prague is the largest city of the Czech Republic (and former capital of Czechoslovakia) and is located on both banks of the Vltava River. 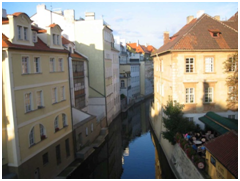 When traveling through Europe make sure you take the time to have a holiday in Czech Republic.